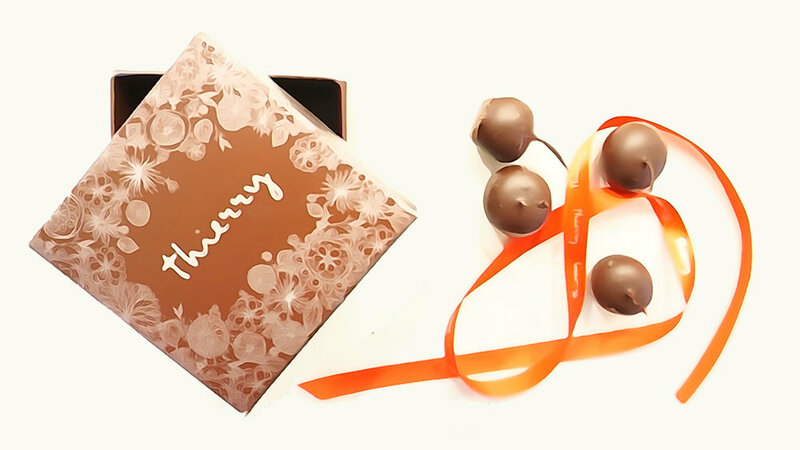 Thierry's dairy-free dark chocolate-dipped cherries are affordable luxury. Warning: although Thierry Café is open Monday to Friday from 7am to 12midnight, it is always busy. The good news, is that no matter what time of day you arrive, the service is warm, and the chocolates, coffee and other house-made beverages are second-to-none. Born in Auvergne, a region in south-central France, Maître artisan Chocolatier and Patissier Chef Thierry Busset trained with top French chocolatiers and was a pastry chef in several Michelin-starred restaurants in London. He worked his way across England, Ireland and the Caribbean before moving to Vancouver to take over the pastry programs at CinCin Ristorante + Bar and West Restaurant + Bar. After months of planning, he finally opened Thierry Café in 2011. With so many dairy-free options to choose from, you’ll need to book a return trip. Everything is made in small batches in his tiny climate controlled ‘chocolaterie’ kitchen. Thierry and his team work with fresh fruits and zests, Tahitian vanilla, premium hazelnuts, Quebec maple syrup, and the very best dark chocolate. TPG’s top picks include the dark chocolate mendiants (a chocolate medallion inlaid with nuts and dried fruits) the house-made jams and the organic espresso beans. Hungry for more? The seasonally-driven daily soup is always vegetarian. Thirsty? Why not sip on a piping hot, custom-blended double espresso, or enjoy a house-pressed lemonade or a house-made soda? And of course, there’s always a snifter of Cognac when you’re ready. Don’t forget to pick up a box of the 70% dark chocolate-dipped cherries, infused with Kirsch, a double-distilled brandy made from sour Morello cherries. One bite was all it took to crack the dark chocolate shell, releasing a sensuous flow of sweet sugar and delicate cherry liqueur. Incredible length. Affordable luxury. At just $2.50 each, they make a perfect midweek gift for just about anyone. Maybe a couple for yourself? Come on, you deserve it.